You know what? 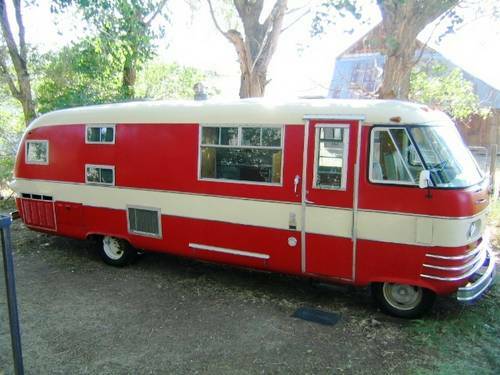 I'm obsessed with vintage trailers, rv's and motorhomes from the 1950's , 60's and 70's. So much that I have about 3 crazy plans on how I can justify collecting them all. 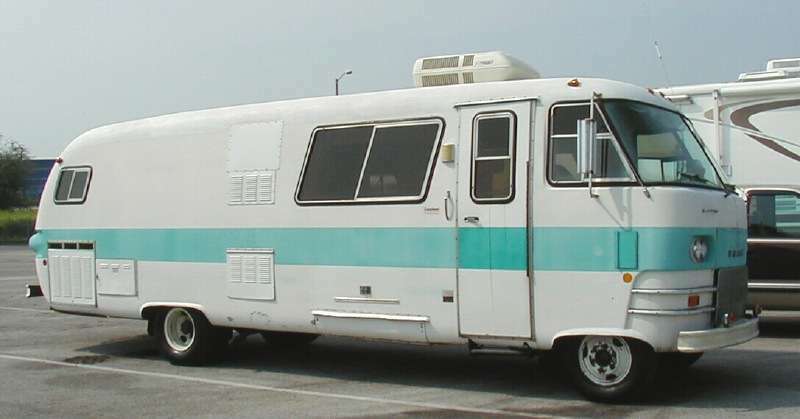 But since most of those dreams are made for a very rich person, I'll begin by creating a collection of posts on the models of traveling homes I admire most. 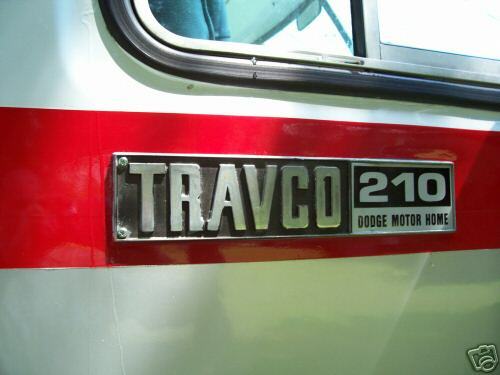 The first is a handsome motorhome with a sleek simple shape and no frills style, the Dodge Travco. 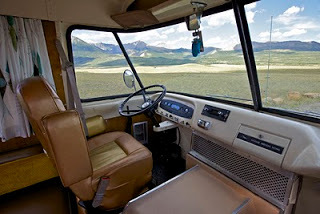 The 60's models most appeal to me for their pretty mod interiors and slanted side windows. While finding photos for this post, I happened upon a wonderful blog featuring a family who is traveling Mexico and North America in their own Travco. I've added them to my reader and am almost caught up on their back posts. I love when I find a blog that tells a story so well. 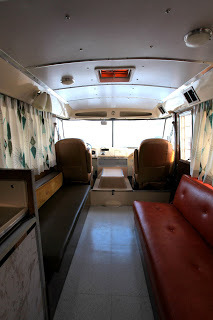 Check out Bumfuzzle - if you love vintage trailers and great traveling stories, you'll love this one!